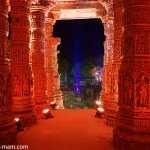 The Modhera Dance Festival or Uttarardh Mahotsav is set against the backdrop of Modhera’s majestic sun temple, dressed in its best suit of lights for the occasion. 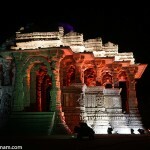 It is organised by the Gujarat Tourism Corporation. It brings together dance troupes and solo performers from all over India, offering a panorama of India’s many dance styles. 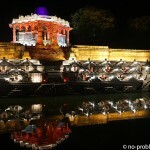 It is held on the third weekend of January, just after the Uttarayan celebrations for the new season. 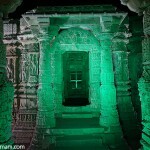 Uttarardh Mahotsav takes its name from the Sun’s planetary and astronomic configuration. 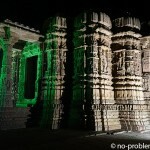 Modhera temple is consecrated to the sun god and to worship of the Earth’s cycle around the sun. Uttarayan is the day the sun begins its northward journey (uttara mans north). It symbolises the end of winter and the moment the days begin to lengthen. During Uttarayan, the sun transits from Sagittarius (Dhanu) into Capricorn (Makara). 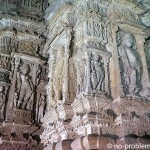 This beautiful festival should be on any traveller’s list of absolute musts in India.